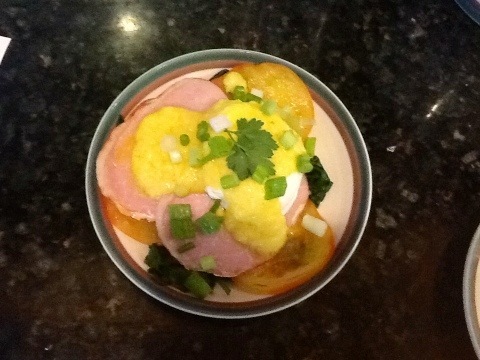 I found a recipe for Paleo Eggs Benedict and decided it would be fun to try. Apparently Hollandaise sauce is supposed to be difficult to make, but I’m not sure why. So if you want to impress your friends just follow this easy recipe step by step. Do read through it all the way before you start cooking. I guess the big deal is that you have to serve the Hollandaise sauce right away, since it starts breaking down into something odd-looking pretty quickly. 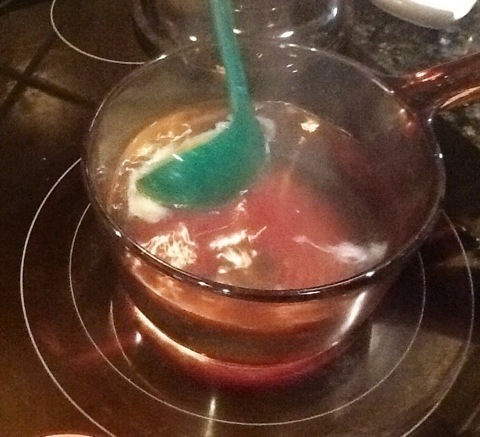 Start by heating up a small pot of water with the vinegar in it over med-high heat. Beat the egg yolks. Juice the lemon or lime and add to the egg yolks. Also add the salt and pepper. Set aside. Set up a double boiler melt the ghee in it. This will ensure that your ghee melts but doesn’t brown or burn (which would ruin the sauce). 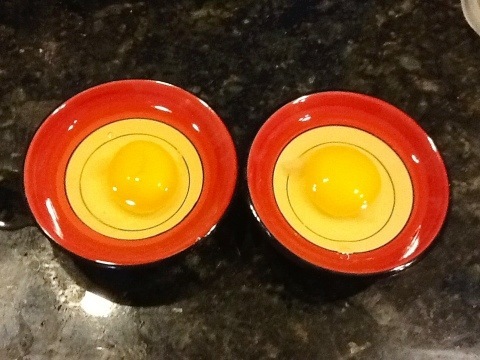 Crack the eggs into little bowls. 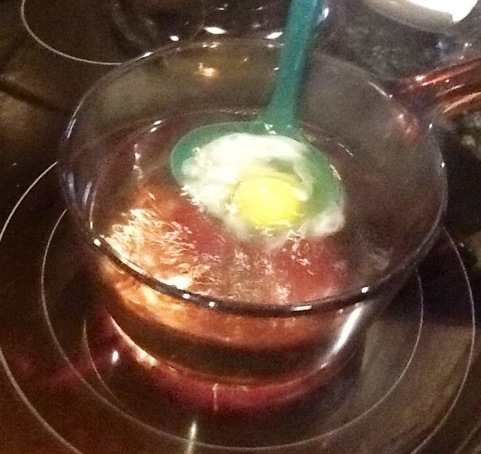 …and gently lower the egg into the water. I tried to scoop the whites together as I pulled the ladle out. 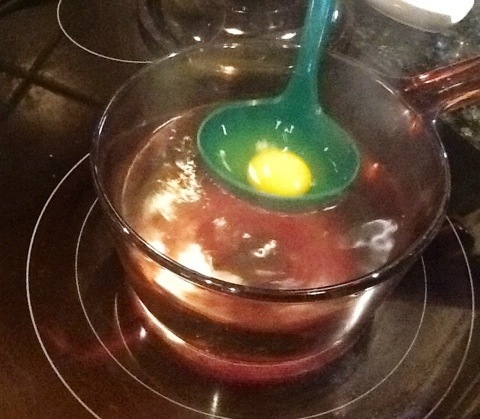 Pull the eggs out with a slotted spoon, cover to keep warm and set aside. Heat up some Canadian bacon. Cook some spinach and slice a tomato if you want. You could even toast an English muffin if you let that sort of thing in your house. I did these things somewhere in the process, and Jewel helped. Neither one of us is very linear so we have trouble with sequential order. 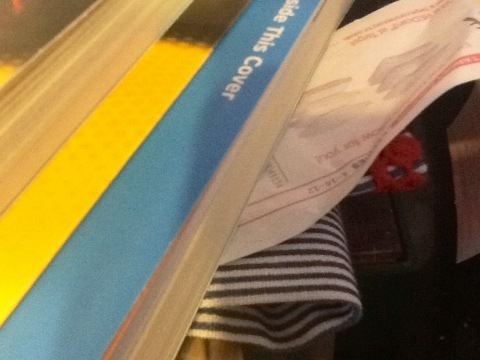 Random pic, courtesy of Jewel. Back to the Hollandaise sauce. 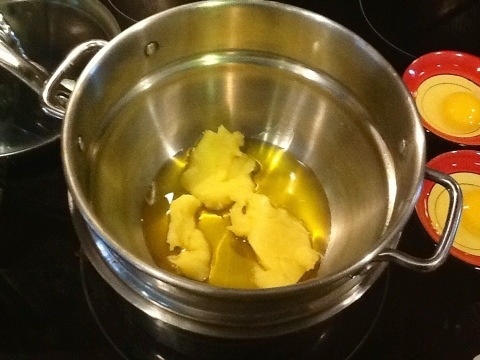 Do NOT dump the egg yolk mixture into the melted ghee. You will end up with some sort of scrambled egg mess. Take a teaspoon and spoon the ghee into the yolks while whisking constantly. After you’ve transferred a couple tablespoonfuls it is safe to dump the yolk mixture into the ghee. Continue to whisk until a thick, creamy sauce comes together. 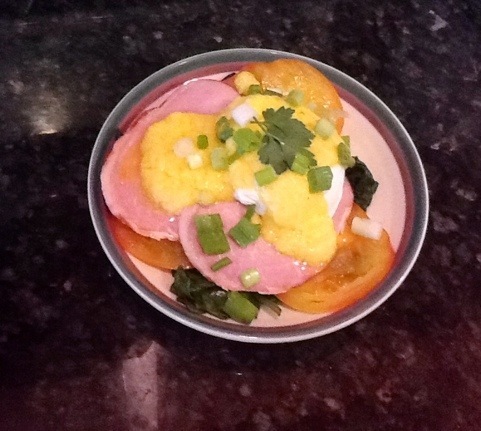 I placed steamed baby spinach and sliced tomatoes on the plate, topped that with two pieces of Canadian bacon, put a poached egg on top of that, topped it with Hollandaise sauce, and made it fancy with Italian parsley and green onions. Looks damn impressive, if I do say so myself! I thoroughly enjoyed this dish, but no one else in the family cared for it. They thought the Hollandaise sauce was weird tasting and too lemony. I’m not sure if I added too much lemon juice, or if they just don’t like Hollandaise sauce. 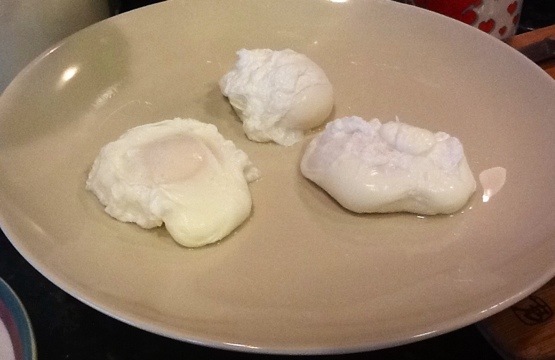 Honestly I was most excited about successfully making poached eggs. Every other time I’ve attempted it they turned into egg jellyfish. So something good came out of it anyway. Hollandaise is beautiful and fun to make, but, not all people like a tart flavor with eggs. 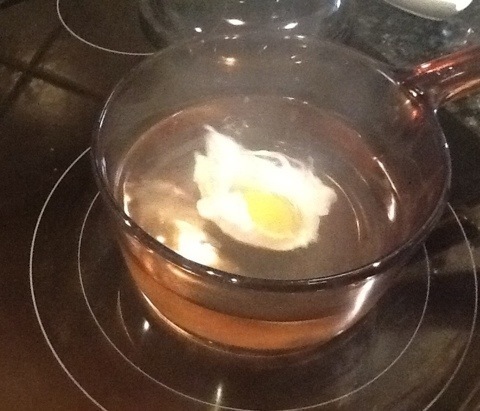 Sounds like you had fun doing this, your eggs came out great…not everyone can do great poached eggs. I do love them. Enjoy your posts, just think of all the foods your family is trying.